During a retreat organized by the presidential committee in Uyo, Akwa Ibom on Thursday, The Deputy President of the Senate, Senator Ike Ekweremadu, charged the Constitution and Electoral Reform Committee to help restore the fast declining independence of the Independent National Electoral Commission, INEC, in order to preserve the nation’s democracy. He also suggested single term of office to reduce desperation and impunity by politicians as well as the conduct of party primaries by INEC to reduce the life and death struggle by politicians for control of party machinery. He stated that It is wrong for anybody to engage in electoral malpractice, but it is even worse if guardians of the sanctity of the ballot box become the desecrators of the process”, The Deputy President of the Senate also said that a single term of office was the way to go to reduce the desperation of incumbents, which in turns defiles the electoral process and endangers democracy. On how conduct of primaries by an independent INEC could help reduce the power struggles in political parties and ensure the popular candidates emerge, Ekweremadu explained: “This is the practice in Ghana. It will reduce the competition amongst stakeholders to take control of the party machinery. At the moment, it is almost a life and death matter during the primaries of political parties”. 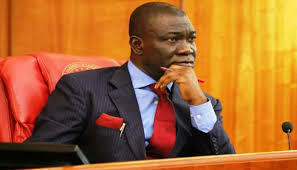 Ekweremadu also canvassed the amendment of Section 77 of the Constitution to allow diaspora voting, noting that, “Nigeria has a theming diaspora community, both in terms of number and quality, and these people deserve to have a say in who governs their country, especially given their contributions to national development”.